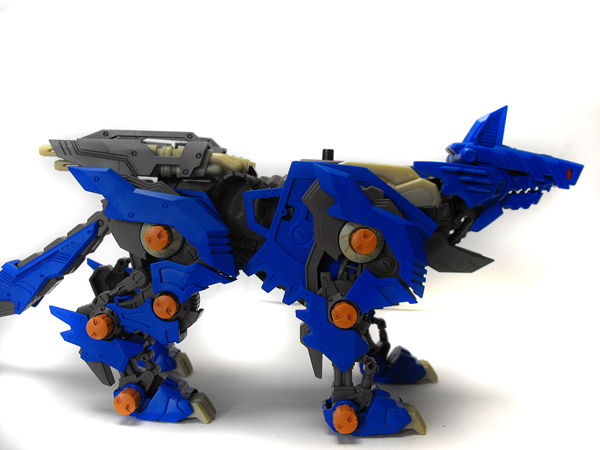 When I got the Zoid the first thing I noticed was the color. 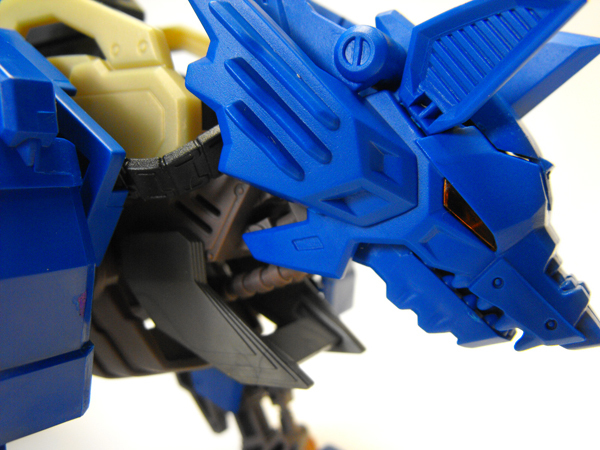 In many of the online photos you'll see of the Heavy Arms Wolf, the color looks almost like a light blue. 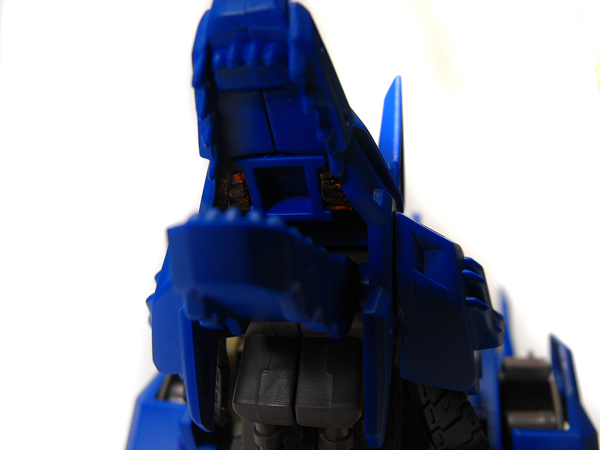 There are some with a darker blue, with a sky-blue highlighting due to the lighting in the photos. 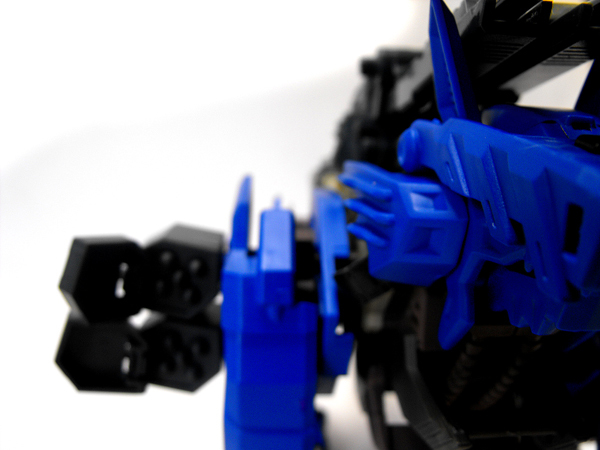 However, there is no doubt about it that the Heavy Arms Wolf is a flat midnight blue, much darker than most of the online photos will lead you to believe. 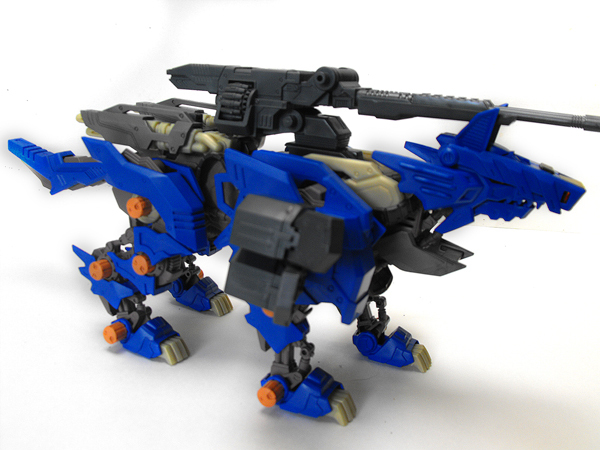 This also makes me think that the zoid, like the NJR Energy Liger, is not photogenic. And it's not. 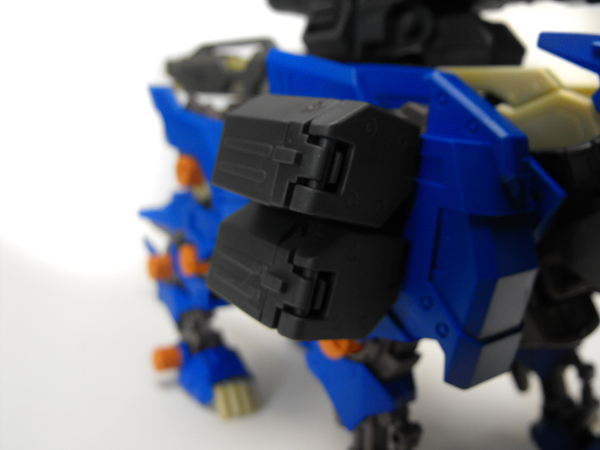 Sort of an unusual feature, the Heavy Arms Wolf's box also came with a thin plastic band around it. I'm not sure if this actually serves much purpose, but the box is also the same thin cardboard on the top half that the Kotobukiya zoids are. This means that if you plan on getting one of these, and you want to receive the box in good condition, you'd better ask for very specific packaging condition instead of just the simple bubble wrap that a lot of sellers use. 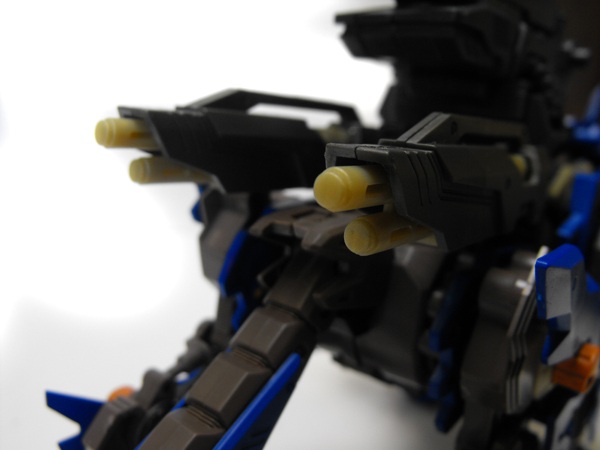 As far as quality goes, the Heavy Arms is nice, but it varies. The brown plastic that makes up a majority of the body is extremely stiff, and scars horribly. It is very difficult to cut, but the rest is much better. Even the black pieces are softer. The blue scars relatively bad as well, but it's much easier to ignore. Another point to note is that by now the Konig Wolves are getting quite old. 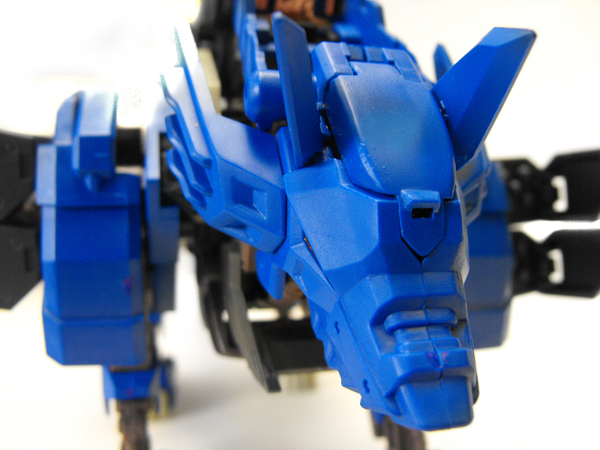 Depending on how the zoids are preserved, the rubber bands on the neck will be a little... icky. The bands on my Heavy Arms, as well as my 3-year-old MIB Hasbro Wolf were very sticky and mushy. 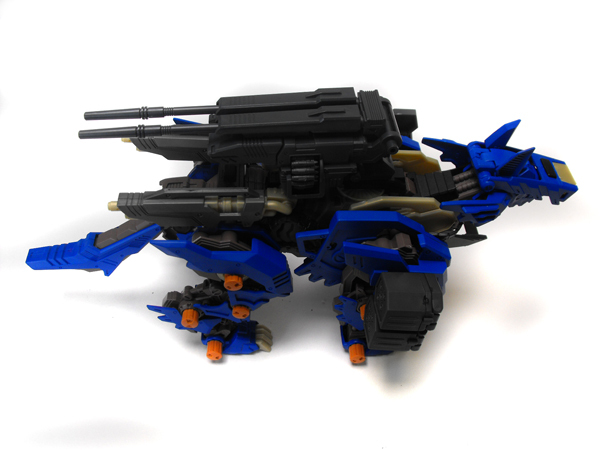 If you get a Heavy Arms, also know that Konig Wolves are notorious for breaking. 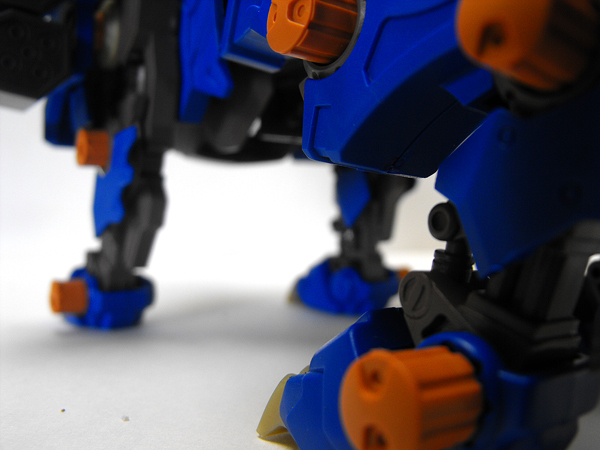 The rubber bands are very likely to snap over time, even if you don't move the zoid. The face pieces are also fragile, so be careful with them. 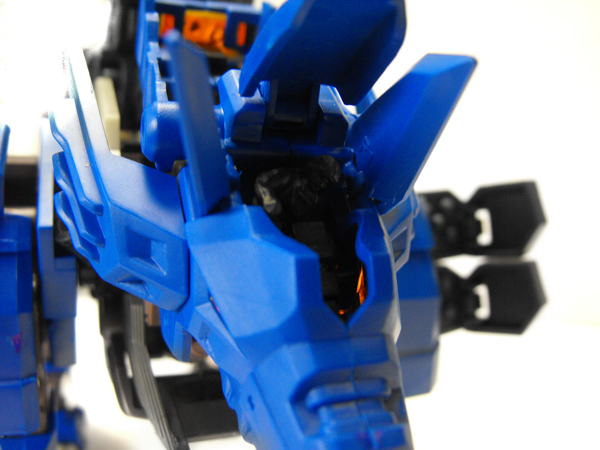 The Missile Pod armor (blue pieces) pops off very easily, but is easily stuck back on. 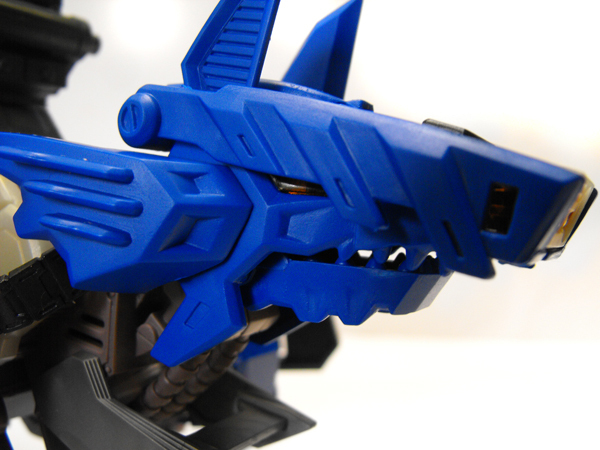 Of course, it's also important to note that the Heavy Arms Wolf comes with the spare shoulder pieces that are used to create the standard wolf. 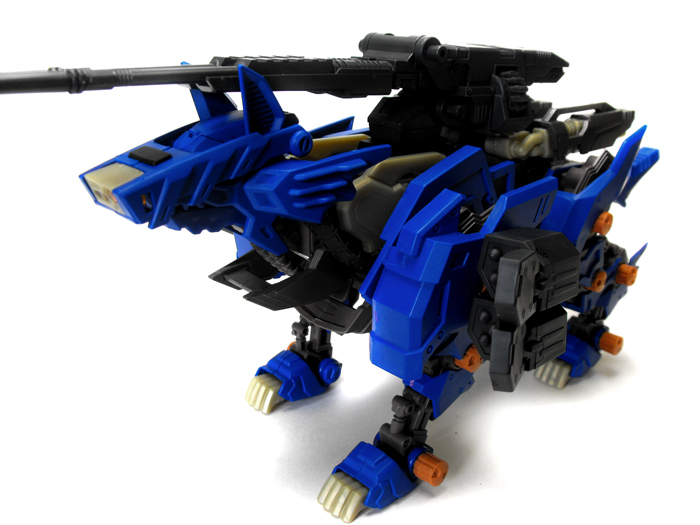 As such, if you choose, you can take off the CP 22 and CP 23, and instead just make a nice, pretty, blue standard wolf. 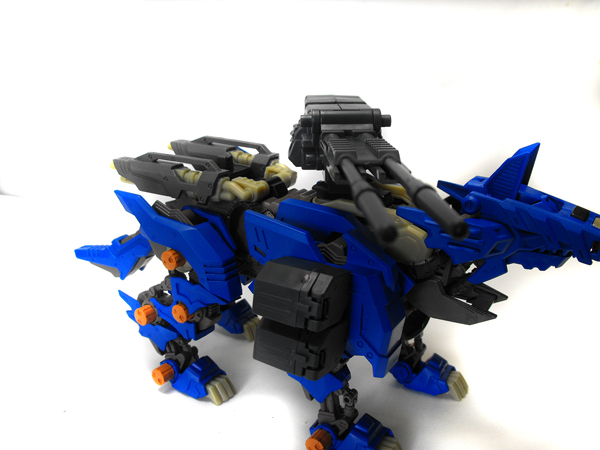 -Very nice midnight blue that is very, very rarely seen in Zoids. -Rare kit with an appealing box design, and an interesting extra DVD. -Comes with two rare CPs (22 and 23); 22 being almost identicle to the original. Konig Wolf HA has an unusual box design. There is no "back" of the box, the bottom is solid white. 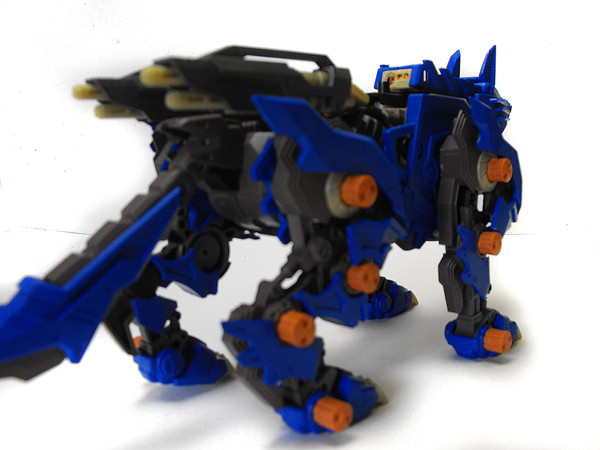 The box itself is decorated in a hommage to the Zoids Web Comic. It has images using the Heavy Arm's DVD comic images, and a faded image from the original Wolf Vs. X Web Comic on the side. The most amazing part is probably that the stats read the same as the original Konig Wolf, which makes me think someone has been deprived of nutrition. Same speed and weight with a giant sniper rifle on the back and new armor/weapons on the shoulders. 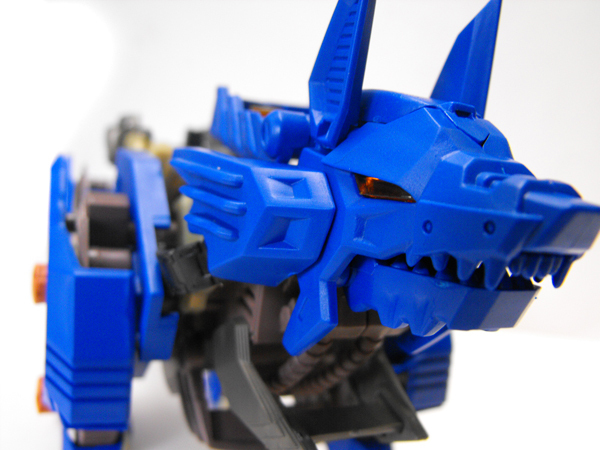 Interesting enough, the wolf came with a pamphlette that details an official Zoids Visa card. The insert pictures a card with a featured Gojulas Giga on the front in a very nice CG image. The inside has a picture of the Gojulas Giga art statue (which came with the card, supposedly 1,000 limited pieces), and a form to fill out and send in. Another side mentions the art statues, Zoids Saga game, and a T-shirt from Zoids Core that features the Geno Breaker Jet. Instructions that were included with the Heavy Arms are the original Konig Wolf instructions, with a separate instruction sheet from the CP-22 and another separate sheet from the CP-23. The Heavy Arms has quite a few gimmicks, especially with the addition of the CP-22 and the CP-23. Below I'll detail all of them, to the tiniest rotation. 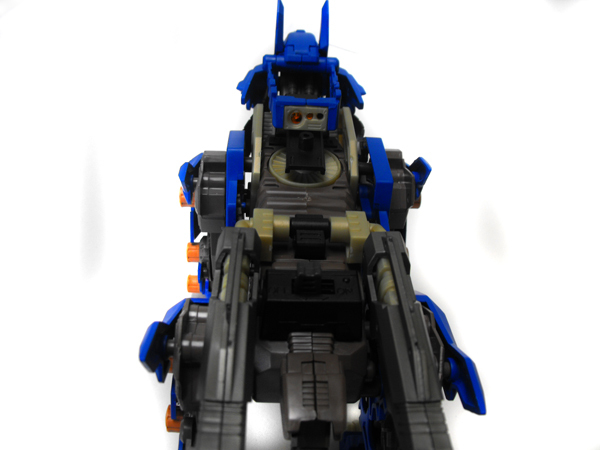 Heavy Arm's body design is identicle to the original wolf, and so the cockpit opens just the same. 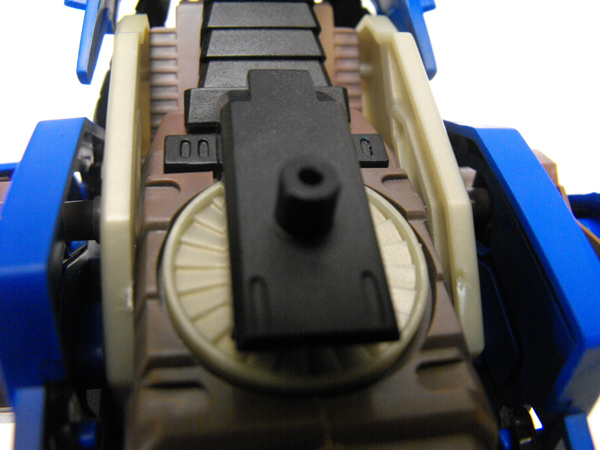 A small control stick inside, that the pilot is supposed to be holding, rotates to a small extent, up and down. The Konig Wolf's ears also flip out, or tuck in. They need to be tucked inwards for the helmet to fall over the wolf's face, and after it is in place, they can flipped back outwards. And of course, the wolf bites! Not literally, but the jaws do swing open and close, and can open wide enough to swallow several pilots whole. Ya know, for those wolves that want to eat their pilots. The helmet that is featured with the Konig Wolf has always been a very unique feature, but on the Heavy Arms it looks a little odd with that yellow piece in the front. Nonetheless, it's still a nice feature, and flips open and back. However, if the Sniper Rifle is leaning forward, the helmet can be blocked by the edge of it, and can't lay all the way back against the neck. If you tilt the rifle back a bit, this is easily fixed. 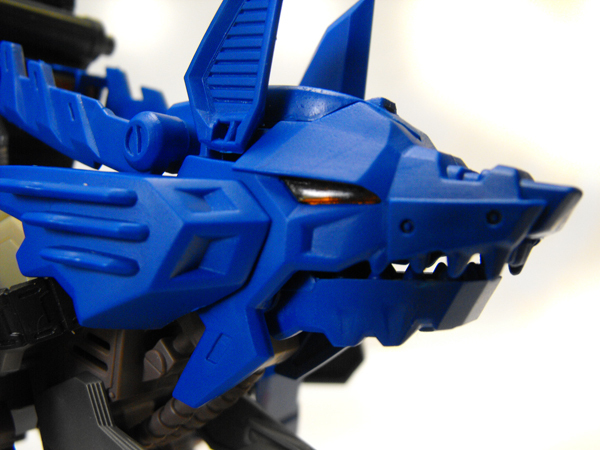 The Konig Wolf's head is semi-articulated in two different places. The neck, where it connects to the body, and the back of the head. 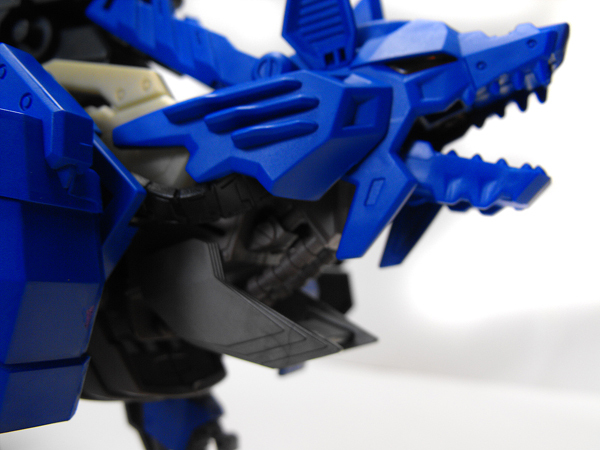 At these points the zoid is on a wheel that allows those portions to rotate up or down. 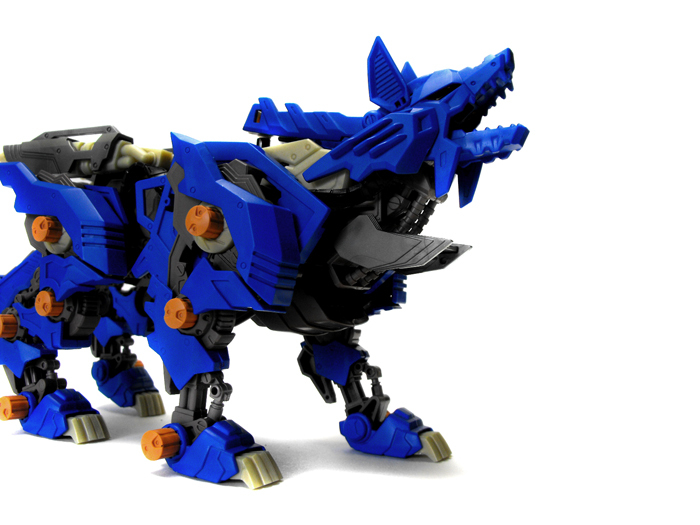 This allows the wolf to bow its head or throw it back to howl. While the paws of the wolf can rotate, since they tend to lay flat on the ground it's not really a useful gimmick. 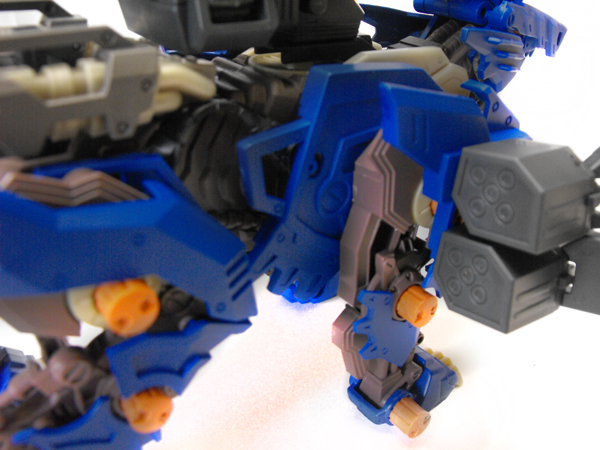 The claws can also rotate up or down a bit, until they hit the top or bottom of the armor on the paws. Although not too impressive on its own, when the wolf is turned on using the battery motor, the fan that's built into the back will begin to spin. This is quite nifty as far as random gimmicks go. And of course, the Wolf's tail can rotate up or down. However, beware- it can also easily fall out. A common mistake is to think that these are guns, however, they are actually intended to be boosters and steam dischargers, if memory serves correctly. 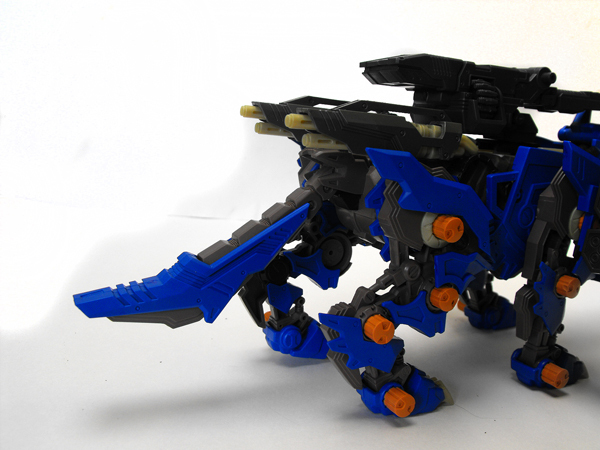 This equipment can flip forward to face up above the Zoid's back, or lay flat, facing backwards. 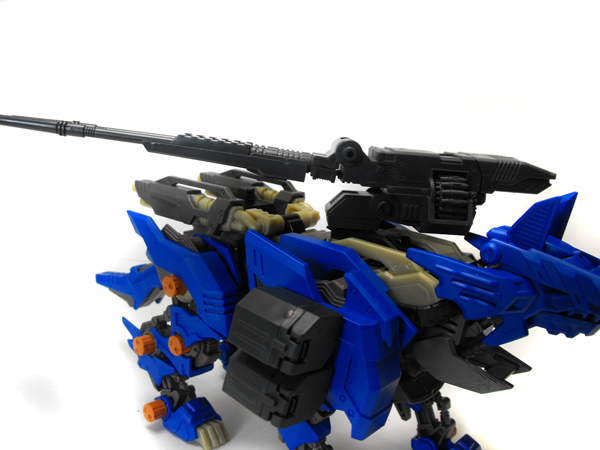 Unfortunately, the Dual Sniper Rifle unit on the Heavy Arms Wolf prohibits the normal range of movement that the dischargers can achieve. To get them flipped fully forward you'll normally have to remove the DSR unit all together. 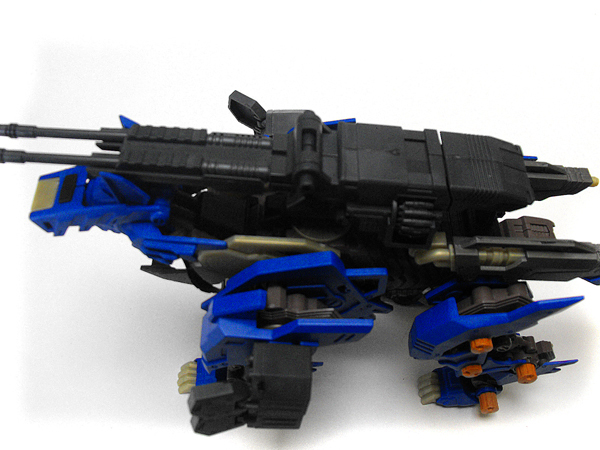 This is one of the extra CPs that comes with the Heavy Arms Konig Wolf, and replaces the original shoulder armor. 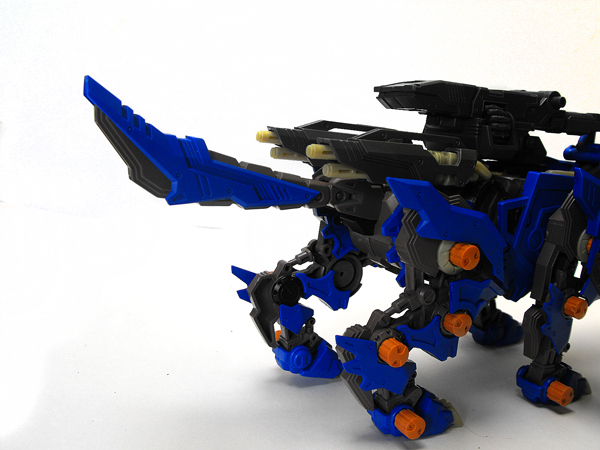 The new piece is much more blocky, and almost fits over the lower-half armor on the Wolf's shoulders. 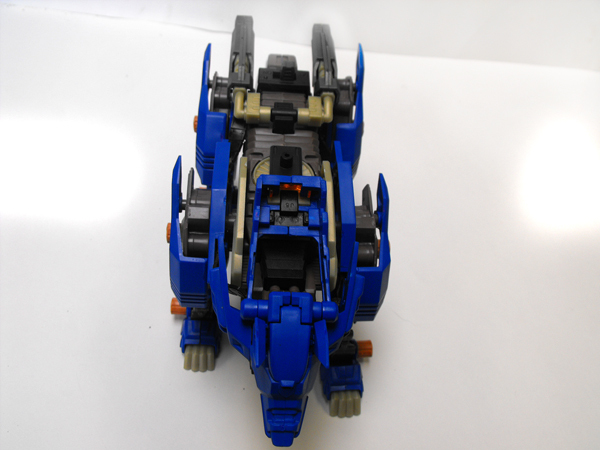 There are two missile pods on each shoulder, and the doors on the front of them can flip open to reveal the missiles within. 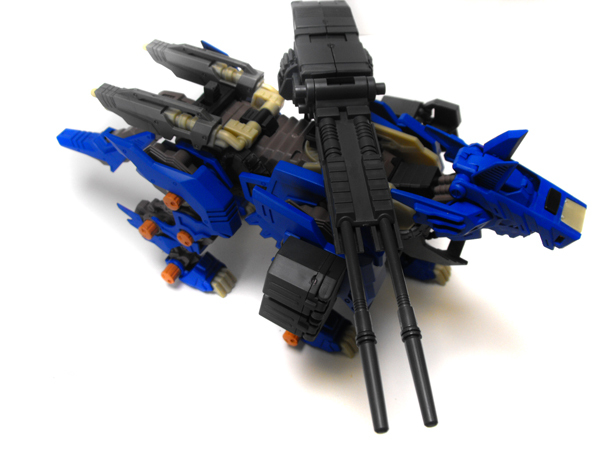 Undoubtedly, this is one of my favorite CPs that has ever been released, and fits the Heavy Arms Wolf just perfect. The DSR is a very interesting weapon, with a 'hook' attachment that allows the top half of it to fold backwards. 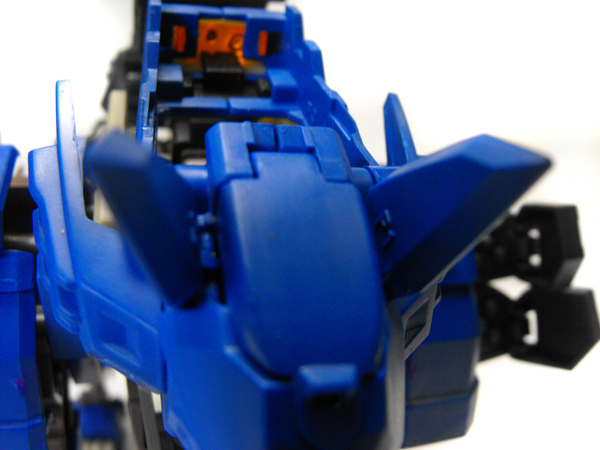 It can then flip forward over the Wolf's head for a firing position. 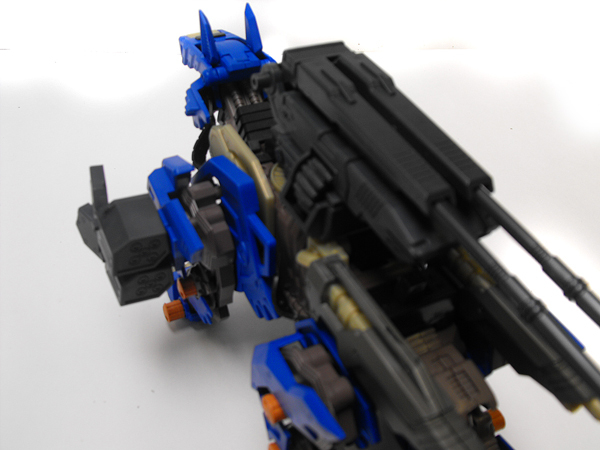 Both of the bullet feeds on the sides can also rotate, and the gun itself attaches to the large cylinder that's on the Konig Wolf's back (above the fan). 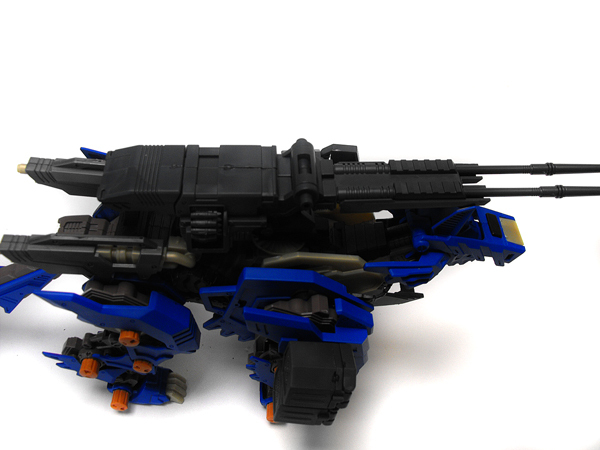 As an added bonus, the Sniper Rifle unit can lean forward, or tilt back, and rotate from side to side. Sadly, I forgot to picture it; but the DSR unit also has a brick on the back (you can see it separated by the indent in the plastic) that can pull out. I do have photos of this on my CP-22 Dual Sniper Rifle review, however.